Admissions is open 8:00am-5:00pm Monday through Friday and by appointment Saturday and Sunday. The mission of Santa Maria Hostel is to empower women and their families to lead healthy, successful, productive and self-fulfilling lives. Our annual fundraiser will be held on April 30th at 11:30 am at the River Oaks Country Club. 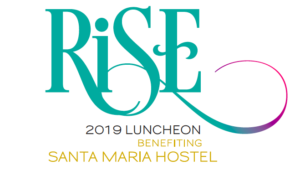 Become a sponsor and help Santa Maria to achieve our mission of empowering women to lead healthy, successful, productive and self-fulfilling lives.